Kit building appears to be on the rise again. With so many people talking about it on the club's repeater lately I decided to put together a good list of sources for kits that are currently available. 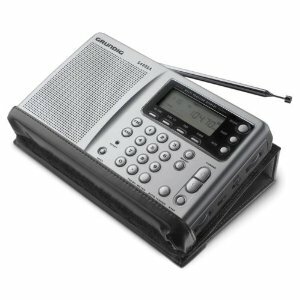 Many of these are for QRP operation, but a few are full-featured professional transceivers (Elecraft, DZ). On the beginners side there are a few sources that stand out: Hendricks has a great assortment of kits, including some SSB QRP equipment. QRPme offers the inexpensive, easy-to-build tuna-can products, and I would like to make special mention of the Four State QRP Group NS-40 which has the coils etched right into the PC board! What a great idea! I've covered trasmitters, transceivers, and some receivers here. 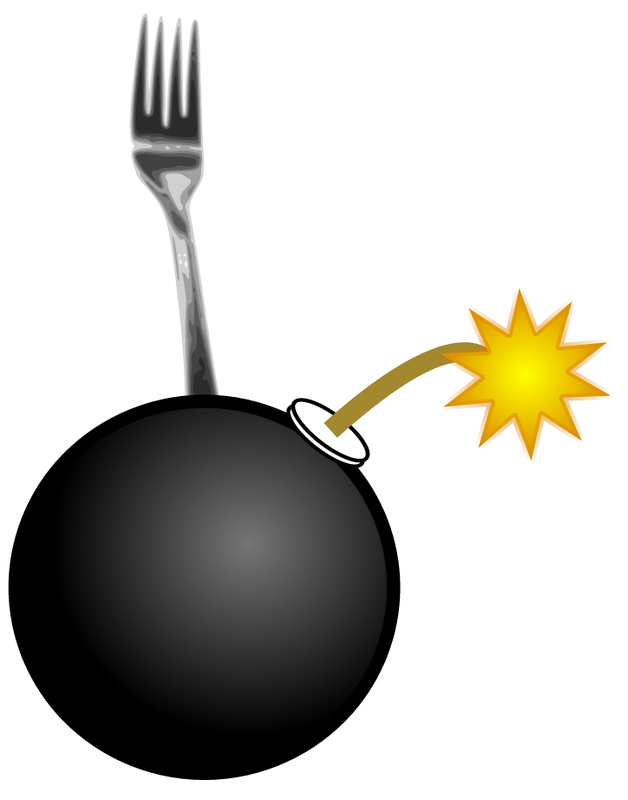 Some accessories are mentioned in the source descriptions. Revised 7/19/2012 Changes in Hendricks QRP Kits, YouKits, Genesis Radio, Tony Parks, and removed the coming soon designation on Heathkit. I didn't check ALL of the prices, so don't hold me to total accuracy in that department. 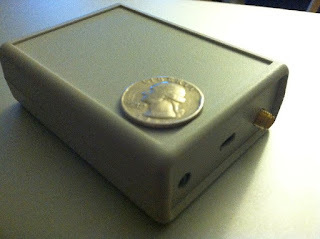 Revised 10/22/2012 Changes in Hendricks, YouKits, Tony Parks, Small Wonder Labs, Wilderness Radio, and Four State QRP Group. 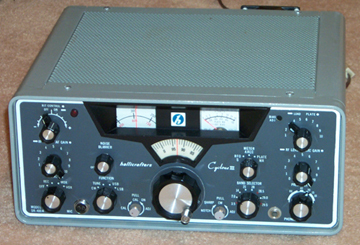 Removed Heathkit, Added HSC. 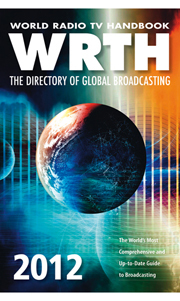 Software Defined Radio on a Shoestring. Have you ever had one of those days? Something that I refer to as The Shidas Touch. Wherein everything you touch turns to feces. I successfully managed to break my iPhone, Dell laptop, and a Garmin Nuvi 250 all in the course of about 12 hours. None of my radio equipment seems to have been affected by the condition, with my Icom dual-bander actually seeming to repair itself recently. The iPhone was an easy fix. Just a tethered reboot did the trick. I seem to always go one step too far when playing with things on my jailbroken Sprint iPhone 4. The Garmin was actually already broken, but I did manage to break it further. The person who borrowed this from my YL must have been trying to delete his history from the thing before he returned it, and managed to delete all of the maps in the process. Some research, and a few trial-and-errors brought the device back, and now is actually working better than before, but in the process I was pretty sure I had bricked the thing, and shoved it aside in favor of salvaging part of a good night's sleep. The Dell, however, is a sad story. 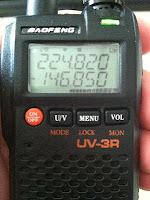 Is the Baofeng UV-3R Mark II really modifiable to 220 Mhz? I received a Soft66LC4 SDR receiver for evaluation. 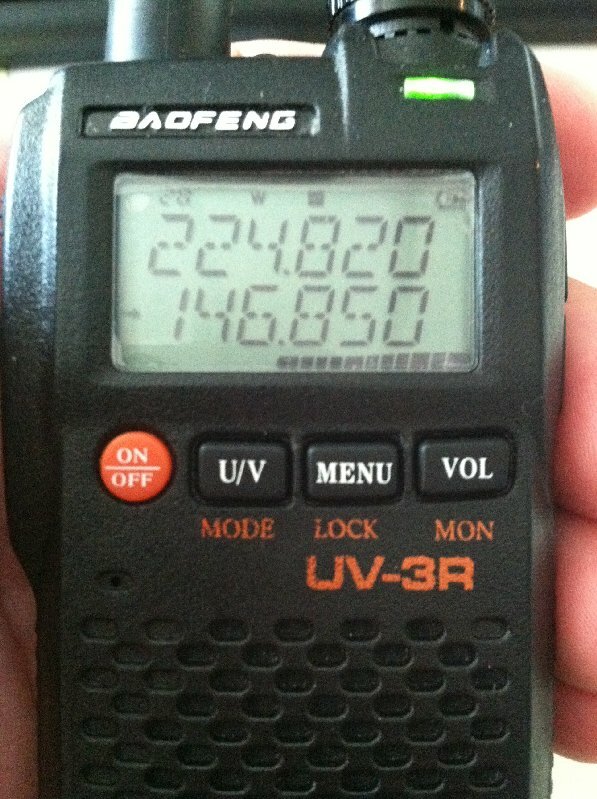 The review of this radio will be in 3 parts, initial impressions, usage test, and full technical test. Here are my initial impressions. I haven't posted so much lately. Sinus issues have kept me from really spending the time on anything other than work and the necessities of life. There are some great goings-on here on Long Island though. My lovely and amazing fiance had been studying for her Technician license for the last month or so. Armed with a notebook, access to the QRZ.com practice tests, and Gordon West's book, she finally took and passed the exam this past Saturday. Now we just need the callsign. A friend of ours once told us that there are two types of Ham Radio spouses. Ones that embrace the hobby, maybe not to the fullest, but will attend picnics and events, and there are the ones that run screaming from it. I have been blessed with a fiance who fell in love with the Ham Radio community, and the people we have met through it. I'm not sure that I'll ever come home to find her staring at Smith Charts, but I think she and I might get to fight over the soldering iron a bit. Well, anyway, on to the Baofengs you see here. 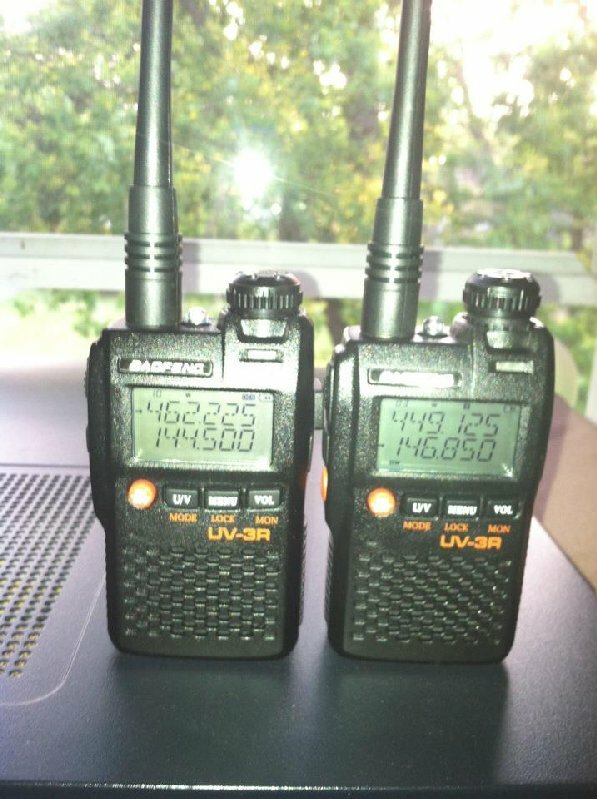 She sort-of owed me a birthday gift for awhile, and I thought she needed a congratulatory gift for passing the exam, so we ordered his-n-hers Baofeng UV-3R Mark IIs. I know quite a few hams that have purchased these little gems and most are quite pleased. Now, I understand that I cannot expect the performance of a $300 Kenwood, or other similar HTs, but the value is quite amazing. Here in the NY Metro area, a small 2 watt HT is not a bad thing to have. As I do with practically everything I own, I have started the process of learning all I can about getting the most out of these little radios. I will post the results as I experiment. So far so good though. Stay tuned, more to follow. 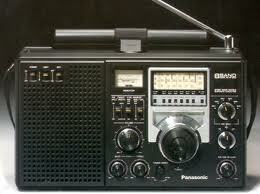 Is Radio Shack returning to its roots? While letting Alec have a bit more driving practice last weekend, we explored some of the North Shore here in the Oyster Bay area. We found a few nice places worth going back to, but one of the most interesting was the Shu Swamp Preserve. Alec and I hiked the northern part of the preserve which had a large observation deck for watching waterfowl and a nice boardwalk section through the swamp. The skunk cabbage was in full glory, very healthy from the mild winter. I found dogtooth violet, solomon's seal, wild oats, and what at first I thought were the leaves of pink lady's slipper. 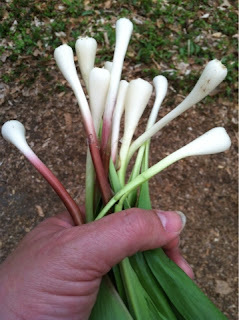 On closer examination I recognized the leaves as ramps, or wild leeks. Pulling one out of the shallow topsoil and leaf litter confirmed my suspicions as the distinctive earthy onion-garlic smell captured our attention. Now, a good rule of foraging is to never obliterate an area of a particular plant. After walking a little farther it became apparent that there were thousands of these gems. We pulled about a dozen in all and headed back to the car.I washed them later that night and stored them in the fridge. The next evening I carefully chopped the heads and sautéed in a bit of olive oil, the I added some broccoli and about half a pound of chicken, cut thin. I let this toss around for about 10 minutes, and then added some fresh pepper, and the tops of the ramps, finely chopped. They have a great garlic flavor, but more delicate. I need more now. The season is short, so grab while you can. I received two disturbing emails early Friday morning.